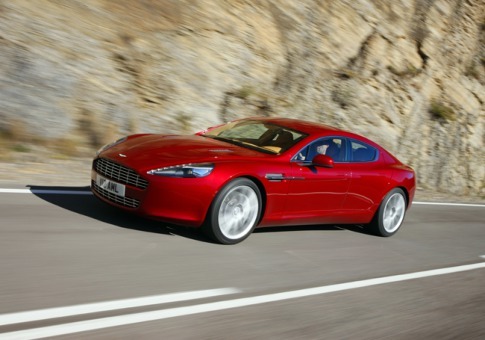 The 4.7-liter, V8 engine gets 444 horsepower and 354 pound-feet of torque. 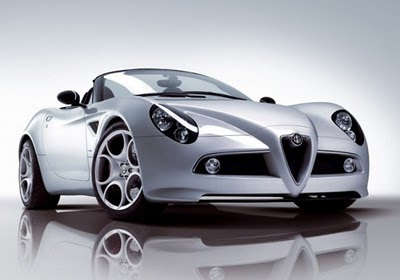 Each angle on the front and sides of the car was calibrated to ensure the most efficient airflow around the car, Alfa says, and it shows: It'll do 0-60 mph in 4.4 seconds and 0 to 100 mph in 9.7 seconds. With its prominent new Lincoln split-wing grille, oval chrome exhaust tips and dynamic lines, the 2011 Lincoln MKX creates a striking image. Inside, luxury abounds. Standard leather-trimmed seats and available wood-trimmed accents come together to create a rich ambience. 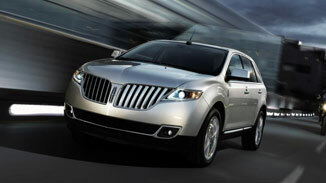 Lincoln MKX features standard heated and cooled front seats. It is the only vehicle in its class to offer these seats as a standard feature.A heated steering wheel is also available to keep your hands warm in the coldest of weather. Perhaps what stands out most in this vehicle are all of its advanced features. There's standard MyLincoln Touch™ that, combined with the SYNC® in-car connectivity system, will forever change the way you interact with your vehicle. Manage your phone, entertainment, climate and available navigation features by using the intuitive steering wheel controls, eight-inch LCD touch screen or via voice commands. Available adaptive cruise control and collision warning with brake support automatically adjusts your speed to help maintain a preset distance from the vehicle in front of you. The available Navigation System with SIRIUS Traffic™ and SIRIUS Travel Link™ not only gives you turn-by-turn directions, but also provides traffic alerts, gas prices, weather forecasts, sports scores and more. The 2011 Lincoln MKX excels in the performance category, featuring best-in-class standard 305 horsepower and 280 lb.-ft. of torque.† Plus, it delivers unsurpassed EPA-estimated FWD 18city/25 hwy mpg. Before the start of 2011 the first mass-market electric vehicles are about to go on sale in selected cities, kicking off the beginning of a wave of new green vehicles. The Chevrolet Volt, from General Motors and the Leaf, from Nissan both launching in December, are just the beginning of the electrification trend. At least eight hybrids and 12 plug-in electric cars in every price range are planned for 2011, with another batch of electric vehicles (EVs) expected in 2012. The rollout of these vehicles will be regional, starting with California and a handful of other states, including New York, Texas, Washington, Oregon, Arizona and Tennessee, among others. It could be several years before EVs are readily available across America. Each employs different powertrain technologies, so it pays to do your research at sites like www.hybridcars.com or pluginamerica.org. When it comes to hybrids, Toyota's Prius is the only one anyone ever really talks about, so it might surprise you that there are 27 other hybrid models already on the market today, including hybrid versions of the BMW 7-series, Mercedes S-class and Lexus LS. Many more are coming. 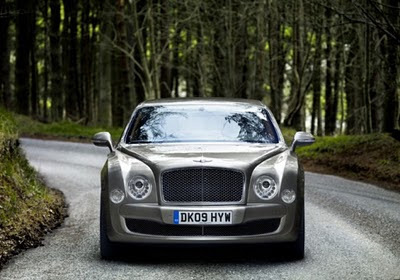 They include luxury cars like the recently introduced Porsche Cayenne S hybrid SUV, which, at $67,700, sells for about $4,000 more than the gasoline version of Porsche's bestselling vehicle, and the Lexus CT 200h compact, due in early 2011, which is aimed at a younger, Gen-X crowd, and will likely be priced under $32,000. German carmakers, which had been trying to steer more Americans to clean diesels, are now making a big push on hybrids and plug-ins, too. A hybrid version of the Volkswagen Touareg SUV comes out next month, followed by a hybrid VW Jetta small car in 2012. Meanwhile, virtually every carmaker, including many industry newcomers, is working on some sort of electric plug-in car, though not every company is ready to take them into the mass market. They're rolling them out slowly, to utilities and government fleets, until there's a charging network that can support them. Another small company with big plans is Think, based in the Netherlands. It's building its tiny Think City at a factory in Indianapolis, which is expected to sell for about $34,000 when it goes on sale next year. Think plans to sell 2,000 to 3,000 of the cars in 2011. Ford Motor hasn't even started selling its next-generation Focus compact (it goes on sale at the start of the year), but it's already planning an electric version. The Focus EV will go on sale in late 2011, and will be manufactured alongside the gasoline version at a factory in Michigan. Chrysler, controlled by Italy's Fiat , will sell the Fiat e500, a plug-in version of Fiat's cute 500 city car, beginning in 2012.